It was another merger Monday on Wall Street. But that didn't excite investors too much. 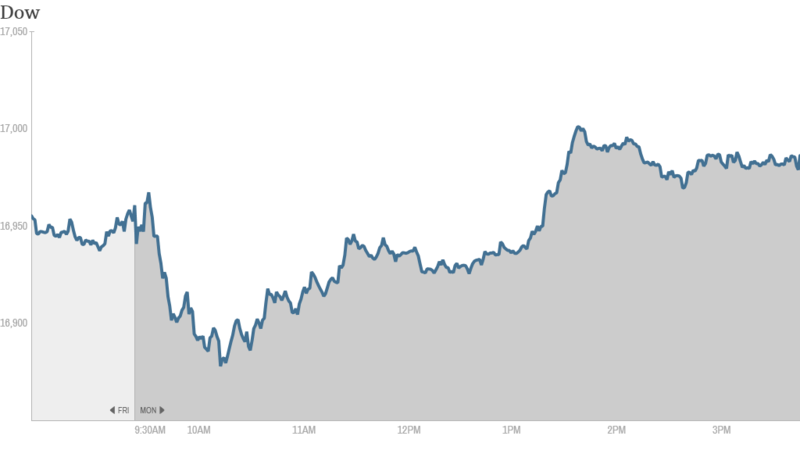 The Dow eked out a slight gain while the S&P 500 finished right where it started. The Nasdaq dipped into negative territory. Investors are probably focused more on the deluge of economic reports coming later this week: a read on gross domestic product (GDP) for the second quarter, a meeting from the Federal Reserve's policy committee and the July jobs report. "I think the market is somewhat apprehensive coming into this week because of the amount of data that we're likely to see going into the week," said Tom Beevers, chief executive officer of StockViews. 1. Housing and discount shopping deals: Zillow (Z) confirmed that it plans to buy Trulia (TRLA) for $3.5 billion in stock. The acquisition merges the two biggest names in online housing, and CNNMoney reported last week that some real estate agents were nervous that the sites' combined depth of local housing data could make in-person brokers irrelevant. Shares of Trulia surged 15%, while Zillow was up modestly. One trader thought the deal made sense for both companies. "$Z Good move on both sides for the long term," said yiannis on StockTwits. "I prefer to use $Z for regular search and $TRLA for short sale and foreclosures." Family Dollar (FDO) shares rallied 25% on news that it's getting bought by another discount retailer, Dollar Tree (DLTR), for $8.5 billion. Dollar Tree's stock also climbed. 2. Stocks to watch: Herbalife (HLF) reported sales and earnings after the bell that missed analysts' forecasts. That's good news for hedge fund manager Bill Ackman, who has so far failed to prove his case to investors that the nutritional supplement company is a pyramid scheme. The stock was down 8% in after-hours trading. Herbalife will hold a conference call with analysts Tuesday morning. Tyson Foods (TSN) shares were up after the company announced in its earnings report that it plans to sell its Mexican and Brazilian poultry units for $575 million. El Pollo Loco (LOCO) continues to look appetizing after its initial public offering last week. The stock shot up a whopping 40% Monday, following a more than 60% gain in its first day of trading Friday. A trader said the successful offering could help the chain go national. "$LOCO They want to capitalize in their success and expand around the US. Did not have the money to do so before...now they do," said StockTwits trader nabi. The fast food restaurant known best for its chicken currently only operates in the Western half of the country, with the majority of its locations in California. Shares of Wynn Resorts (WYNN) got a boost ahead of its quarterly earnings report scheduled for Tuesday. Last week, the Nevada Gaming Control Board announced a jump in June revenue from gaming licensees on the Las Vegas Strip. Rite Aid (RAD) shares lost steam due to reports that hedge fund manager David Einhorn of Greenlight Capital sold his position in the stock. 3. International markets: Most European markets ended in the red. Russia's Micex index was lower after an arbitration panel in the Hague ruled against the state, finding the government had illegally sold off the assets of oil company Yukos. 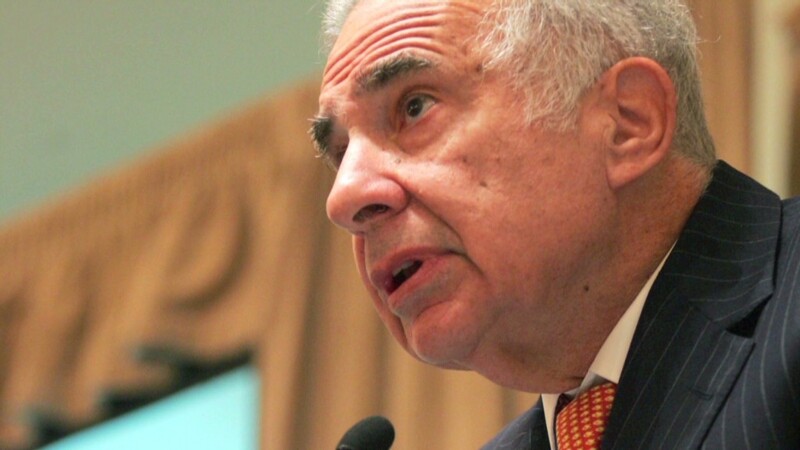 Former major shareholders were awarded $50 billion in damages. Most Asian markets advanced, led by a 2.4% surge on China's benchmark Shanghai Composite.